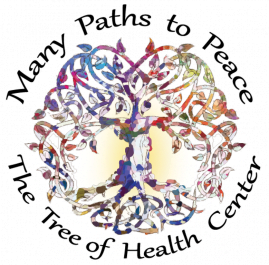 Press Release (ePRNews.com) - MILFORD, Pa. - Apr 20, 2017 - The Tree of Health Center (TTOHC) is hosting a 5-month series, Many Paths to Peace, at Jen Murphy Fitness in Milford, PA beginning June 10th. Many Paths to Peace is a 5-month series exploring multi-cultural practices that can lead our community to a peaceful and happy life. This marks the first year TTOHC is offering the series in Pike County and the quality line-up of speakers promises something special for everyone. Talks and experiences include the Power of Love, Gong Immersion, Drumming Circle, Buddhist Meditation, Navajo Medicine Healing, Mindfulness, JourneyDance™, Shamanic Journeying and Transforming to Achieve Peace. Speakers include Debra M. Hollinrake, Partner and PR Director with TTOHC, discussing the Power of Love; David Karlberg, gong master and drummer extraordinaire, immersing us in gongs and drumming; Buddhist Nun Kelsang Chenma from Kadampa teaching about the wisdom of Buddha; Medicine Man Sam Tso from Arizona guiding us in Dineh Healing and Prayers; International Teacher Melissa Acuña with lessons on Mindfulness for Kids; Jean O’Toole and Cynthia Schroll leading us in a Sacred Moving Meditation for Peace through the popular and growing JourneyDance™; Shaman John Drinkard taking us on a journey into our spirituality; and Ana Teresa Dengo, former Costa Rican Ambassador to Vienna and diplomatic negotiator for nuclear disarmament, helping us to achieve and hold a steady peace within ourselves that can magnify into the world. Many Paths to Peace: Our Vision is to live in Peace; Our Mission is to present a series of multi-cultural events for conscious evolution & peace. Most tickets are available for $15. Medicine Man Sam Tso’s talk on Dineh Healing is $60. The 5-month series will take place at Jen Murphy Fitness, 113 W Harford St, Milford, PA 18337. For a speaker calendar, more information on this series or to purchase tickets, please visit http://tree-health.com or call (973) 500-8813. The Tree of Health Center, located at 55 Newton Sparta Rd, Unit 107, Newton, N.J., is a health and wellness center dedicated to bridging the gap between modern and natural medicine, with a strong focus on noninvasive practices and prevention. The Tree of Health Center’s team of unique healthcare specialists is passionate about health, growth and wellbeing. The Tree of Health Center is helping to create a sustainable future for the health and welfare of the worldwide community. The team of teachers and practitioners listen and communicate with integrity. They are committed to sustaining unity in values and truthful compassion in helping others, all within a meaningful and safe environment filled with love, joy and healing. Visit www.tree-health.com for current updates, events and to join the healing community. The Perfect Indian Wedding Decoration Ideas For Your D-Day Now!